Lady Momma likely escaped from her owner when she went into heat. She was not wearing a collar nor any dog tags. 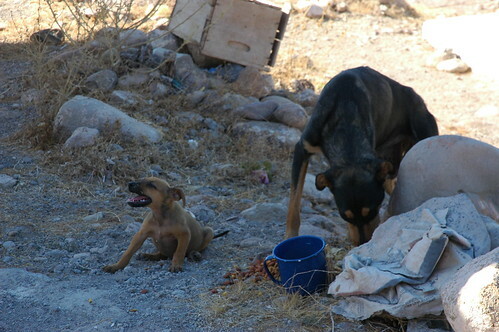 She had four puppies that survived, three female, one male. Everyone was rescued and vacinated and then adopted. Rose is happy because she has already spent a night in comfort with plenty of food and water, and now she gets to see her momma again! 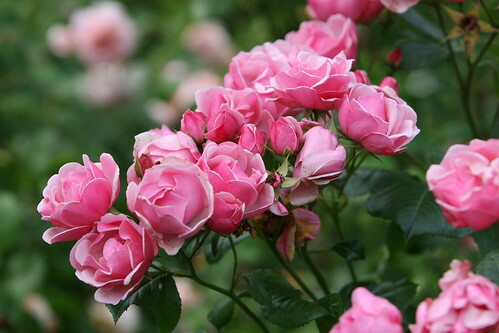 Roses from my mom’s rose garden. 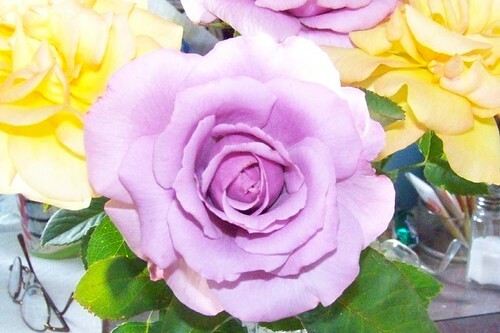 Yellow and Purple Roses are a family tradition, from my grandmother, to my father, to me. All 3 of us like purple and Yellow roses. Give me Yellow roses over Red any day.